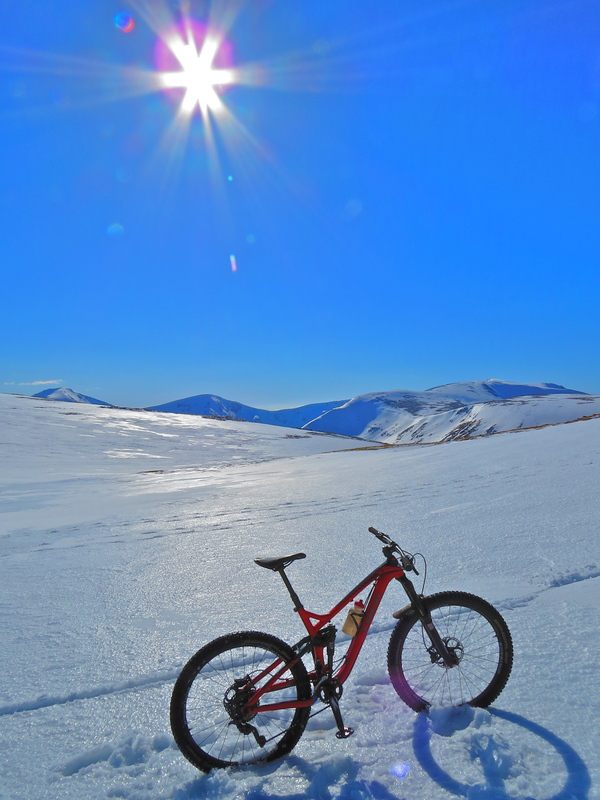 I’ve waited all bloody winter for the conditions to be right for a crack at snowbiking, and at last this week there was a perfect forecast! 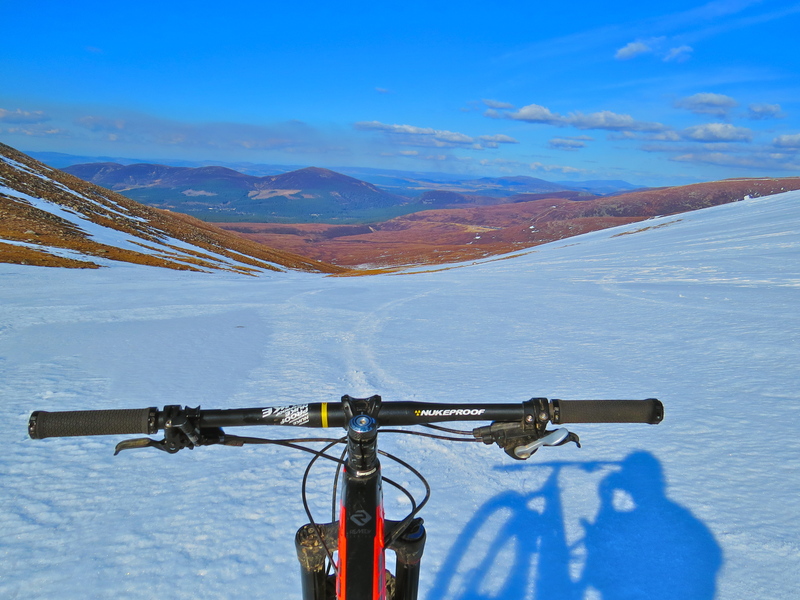 Glenmore Lodge is the perfect place from which to watch the corries and to strike out for the hills, so I rode up the old ski road to the carpark, past the confused looking lifties and up the climber’s path into the corries. Up the Lochain ridge, a final steep section of snow and finally onto the plateau itself. I had only planned to hike up and descend Lurcher’s gulley, but the going was so good that I reckoned I could try to tag Ben Macdui itself. 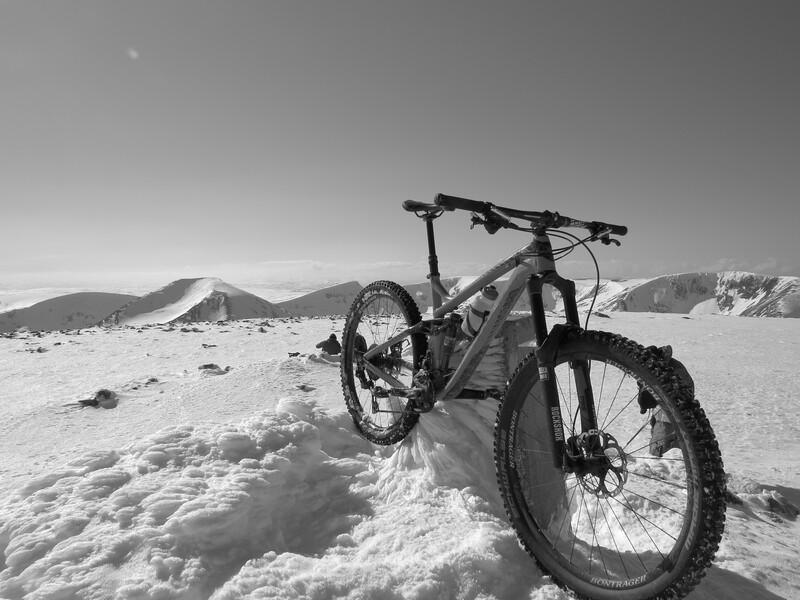 The snow couldn’t have been better: just firm enough to pedal over, so the the ride across the plateau to Scotland’s second highest summit at 1,309m took barely thirty minutes, and was almost entirely rideable. 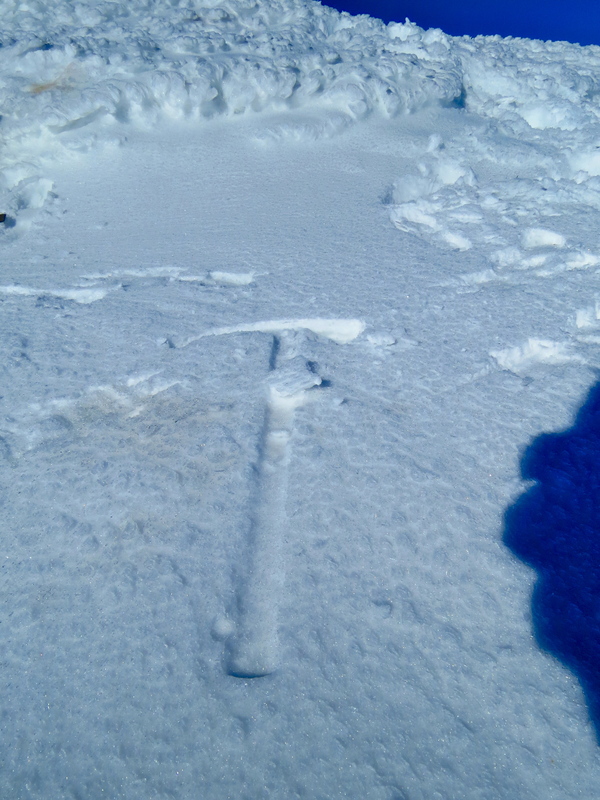 The snow was so firm that steeper sections could be climbed in zigzags,traversing the slope before putting in a burst of power to swap direction. I dropped the tyres down to 12 psi to give some flotation on the snow at the edge of the plateau, and surprised some ski tourers when I passed them! The ride back after sandwiches and pictures at the summit was even better – straightlining resulted in warp speed being reached almost immediately, and the snow had softened enough in the sun to allow some nice turns on steeper sections. I had work at 4.30 (life is tough) so there was no time to waste and I cracked on down Lurcher’s gulley, got my waterbar-hop on back down the climber’s path, and span back into the ski centre before blasting down the Allt Mor path, which pops out right beside the lodge back down at 300m. Next Next post: To the sea!